This is an important first step in making the right decision. You need to learn all you can about these schools to see if they will offer what you need as a student. A few important points include financial aid for foreign students, the size of the campus and the length and types of courses offered. You also need to find out what kind of support is offered to foreign students. Some employers do not accept degrees from schools outside the country without having the degree evaluated. Sometimes they feel that the degree just might not be good enough, but in most cases, they are concerned that the school might not have accreditation. Before you apply to any school abroad, you should check to make sure it is accredited. For this reason, you need to consider schools that are reputable and have a good international reputation. If you speak the language of the country you are interested in going to, this will make the process of fitting in and learning easier. You will have no problems keeping up in class or moving around in the country. Of course some people study abroad to learn a new language and experience a different culture. 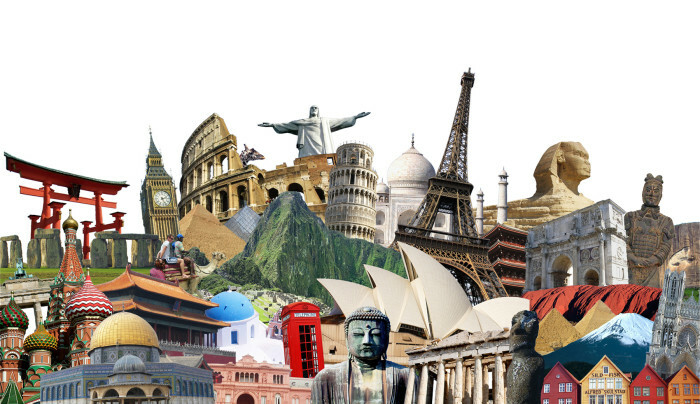 If this is something that interests you, then you should consider studying abroad. Some people do not study or take jobs abroad simply because they do not enjoy traveling. If this is not a problem for you then you can consider going to school overseas. Just be sure to determine how often you will need to travel back and forth between your home country and the country where you are studying. You need to take into consideration the expense of airfare. Can you handle living in a foreign country? This is an important question for anyone who has never been away from home. Being in a different country for the first time can be difficult for anyone. When you add to that the pressure of being in college and trying to cope on your own, it becomes even more difficult. You must think seriously about whether being far from home is really for you. No matter what anyone says, it is up to you to make this decision. You have to make sure that you are making the decision for the right reasons, and not because someone else wants you to. Many people who have studied abroad have said that it was the right move. You could open yourself up to new opportunities in life. Since the year 2008, there has been a steady increase in the number of online degrees offered. Such a supply is complimented by an ever-increasing demand from students all over the world. There are upsides and downsides attached to this form of education. So before you decide whether you would like to pursue your degree in the online world or in a brick-and-mortar classroom, here are a few things you should keep in mind. Online degrees offer the best of every form of convenience. You are not bound to reach a specific location at a specific time. All you need to do is login from your computer and attend the classes as and when you desire – even if it means at midnight in your pajamas! You may be living in a place where colleges and universities may not be easily accessible. Online degrees make sure you do not need to sacrifice your academic desires in face of such a crisis. It also saves you from relocation costs that would be incurred if you choose to move to another place near your college. The internet has made it possible for people from all over the world to come together on a common platform and indulge in a shared academic experience. So regardless of where on earth you and your classmates are located, you will always be able to interact with each other and learn about the various cultures and traditions celebrated in different parts of the world. Online education programs do not require you to share your background information, picture or any other personal information that may be used against you. Hence, no discrimination is practiced. Online degrees provide equal learning opportunities to all those who are enrolled in the program. Cannot keep up with the pace being followed? You can always alter it to your convenience. This means taking classes more frequently or the converse. You get to set the pace/frequency of classes most suitable for you. Online education is comparably less expensive than traditional classroom education. This is because a major cost of the classrooms is eliminated from the tuition fees. Moreover, you are able to save quite a significant amount of money in the form of transportation expenses, food and housing costs and other similar expenditures. Online education involves the use of interactive mediums like presentations, videos and other similar resource material. Therefore, you get to experience a high quality interactive learning environment. This not only improves your academic experience, it also ensures you are able to retain more of what you learn. There are a few downsides of online degrees. You do not get to enjoy campus life. This restricts your networking opportunities – with your professors as well as other students. You cannot meet them physically which proves to be a major drawback in improving relationships. Moreover, you are devoid of campus experiences that are a part and parcel of college life learning. It is very difficult for you to get prompt responses. If you have a question, you do not get to raise your hand and ask. Instead, you need to drop an email which will be answered at the convenience of your professor. Consequently, this may mean delayed feedbacks and hence impaired learning. Technology is not always blissful. Technological menaces like corrupted operating software, power failure, damage to hard disk and/or other computer parts and other similar problems do exist. Consequently, it diminishes your ease of acquiring education. If you would like to have your credit hours transferred to an ongoing degree, you may be faced with problems and/or a straightforward rejection. There are credibility issues associated with online education that makes it difficult to trust such qualifications. Consequently, accreditation issues may arise, posing significant threat to the viability of online education. You cannot pursue an online degree unless you are self-disciplined. There are no professors and/or classmates to push you through the challenges. Unless you can convince yourself to complete the degree, you might never be able to do so! Is Online Degree Program the Right Choice for You? The first thing to be clear upon is whether you are responsible and focused to opt for an online degree. Online programs require self study and meeting assignment deadlines. You need to be sure that you can study by yourself and meet the assigned deadlines, without having campus influence to motivate you in doing so. Procrastination and lack of motivation will kill your online degree. Are you an avid reader? If yes, proceed to tick that off in favor of an online program. If you cannot read lectures or understand them through videos, it may not be for you. You should also keep in mind that acquiring a degree online would require you to connect with other students or your professors through email. You should be really comfortable in using the computer and internet for communication and research. You may also be required to group online with fellow students through video chat to work on projects etc. Consider the environment at home. Will you be able to devote time towards your study being at home? Will your folks be supportive or there will be too much distraction? Do you have a working computer in good condition and a high speed internet? You should also be self-sufficient in using the computers resources as all your lectures will be online in the university database. Another thing to consider knows how you will meet your finances. There are limited choices for financial aid in online programs. Student loans are usually given at higher interest rates as compared to getting one for the conventional degree program. There is also limited access to grants, work study and certain other financial aid in online degree programs. Carry out thorough research on the online degree that you would like to pursue. Find its credibility and the colleges which are offering it. Understand the course requirements and work load, thus evaluating if you would be comfortable in managing it on your own. Also consider if the degree that you want to choose will provide same or better value in acquiring it online. For example, if it requires practical coursework or exposure how that would be accomplished? How do employers in your chosen field of study view an online degree? While online degree programs provide many benefits and allow more flexible learning it does have its drawbacks. Online study means that there is no face-to-face with your professor and any questions that you may have will take time to answer. From the viewpoint of employers, many consider it okay to have earned your degree online but there are also those who disregard it. It is advisable that you consider all options with an open mind and thorough research. Talk to your counselor and evaluate all your options. Keep in mind your preferences and limitations of choosing an online degree program and affiliate yourself with an accredited program if you wish to do so.